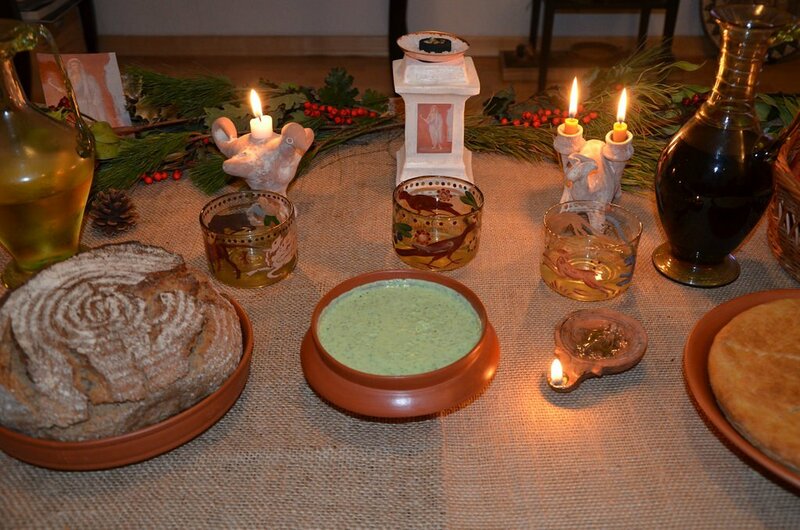 I follow Carole Raddato's Twitter account, which you should as well, and she posted about celebrating Saturnalia with a traditional Ancient Roman meal. Duck in spiced gravy (below), herb cheese spread, mashed vegetables, amongst other preparations. Looks good! Photos by Carole. Looks totally authentic. No potatoes, corn (maize), or chocolate. These of course are all New World foods. Coffee and tea are Old World, but I do not think the Romans had them. The Romans did not have hard liquor, as distillation was not invented by the Arabs until several centuries after the end of the Western Roman Empire. The meal also looks quite edible by modern tastes. 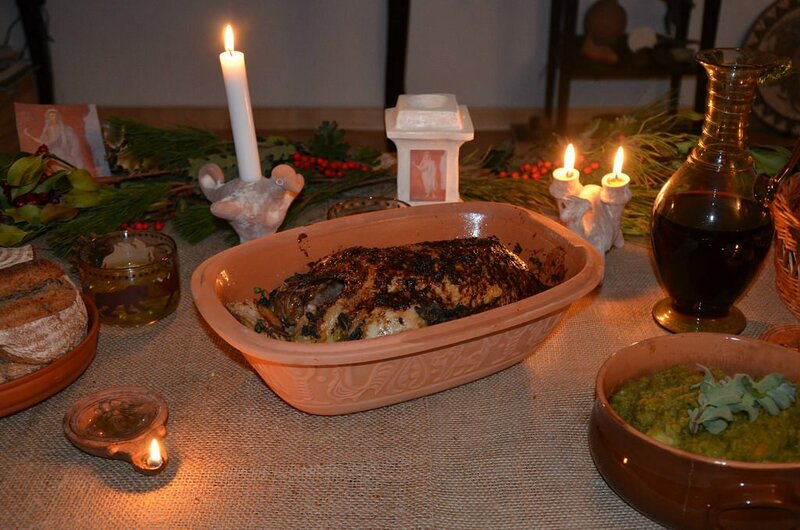 Stuffed dormice, sow embryos, and larks' tongues were authentically luxury Roman fare, but are not included in this feast. The meal would of course have been served by the master and mistress of the house waiting on their slaves.